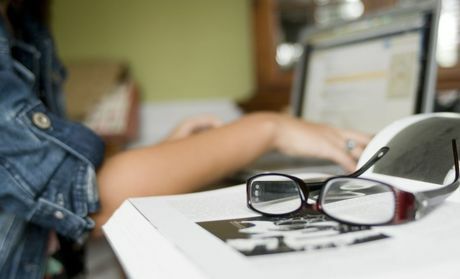 Let us know about your topics of community concern by sending us an email using the form found on the "Contact Us" page. We are concerned about the commercial activity in our neighborhoods. Parties and events at rental houses bring in additional traffic, loud outdoor noise, illegal parking issues and excessive trash that often overflows onto the street. This is not an acceptable use of a house in a neighborhood. After 3+ years of working with City Council and city staff, the CC finally voted on something to regulate short term rentals in residential areas. Virginia Beach, Va. (Sept. 25, 2018) — Frequent wind tides push water against the low-lying land surrounding Back Bay and the North Landing River which can result in flooding, especially when the winds are from the south. These south winds drive coastal waters up into Back Bay from the Pamlico, Albemarle, and Currituck sounds. In less than two years, Back Bay and its tributaries have experienced three significant wind tide events. The City will hold a community meeting to discuss wind tide flooding in the southern watershed on Thursday, Oct. 4 at the Senior Resource Center, 912 Princess Anne Road. It is free to attend and open to the public. City staff from the Department of Public Works and Office of Emergency Management and the City’s consultants on sea level rise from Dewberry will present information about causes and the extent of flooding, progress on studies to develop strategies and identify infrastructure improvements that would reduce or mitigate flooding, and assistance available after wind tide events. Attendees will have opportunities to share information about their experiences with and observations about wind tide flooding. Through the Comprehensive Sea Level Rise and Recurrent Flooding Study and Stormwater Modeling and Master Drainage Study currently underway, the City is installing wind, precipitation, and water level gauges in the watershed and developing sophisticated computer models to better understand the complicated dynamics driving the wind tide flooding. These studies will identify and evaluate strategies and infrastructure improvements that would reduce or mitigate flooding. 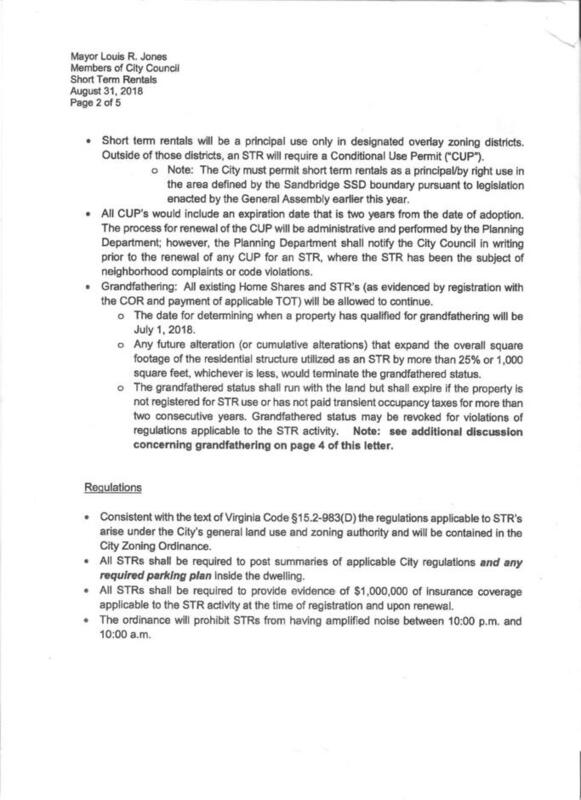 Information on what City Council is working on with regard to short term rentals in VB. Here is a link if you want to watch the video from the symposium on Tuesday, August 21 about Sea Level Rise and Recurrent Flooding. This is from the City's website. There are two items on the Tuesday, July 3 City Council agenda related to the issue of short-term rentals. During the informal session, City Council will continue the discussion from the June 26 workshop about how to regulate short-term rentals. 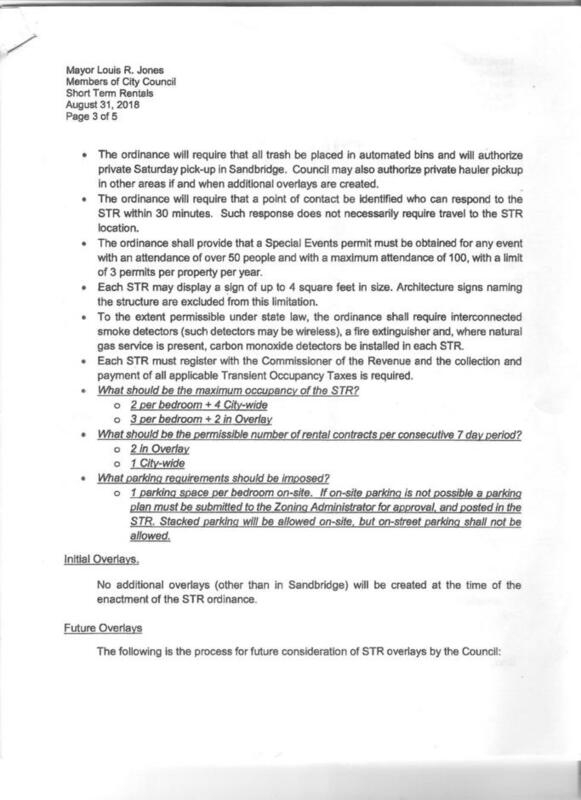 The second item, on the formal agenda, is an ordinance City Council plans to deny. 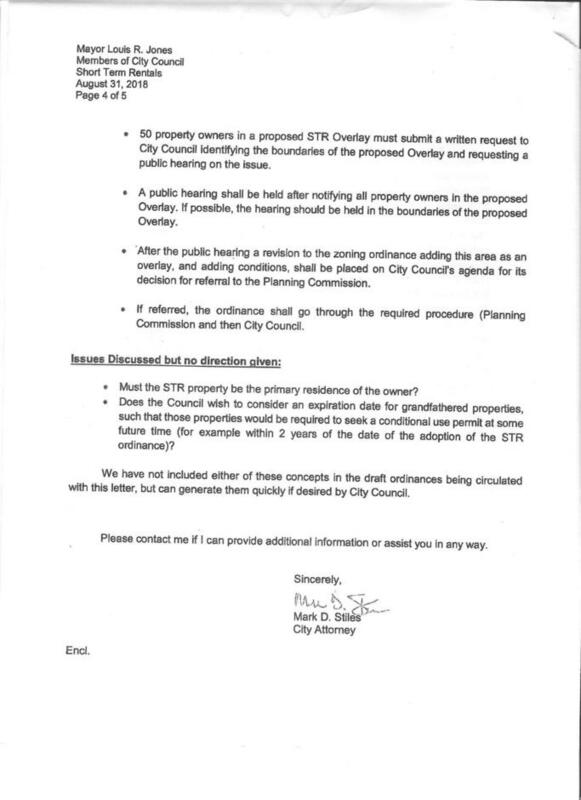 It was deferred from the June 5, 2018 agenda and asks City Council to consider amendments and additions to the City Zoning Ordinance that address short term rental regulations. 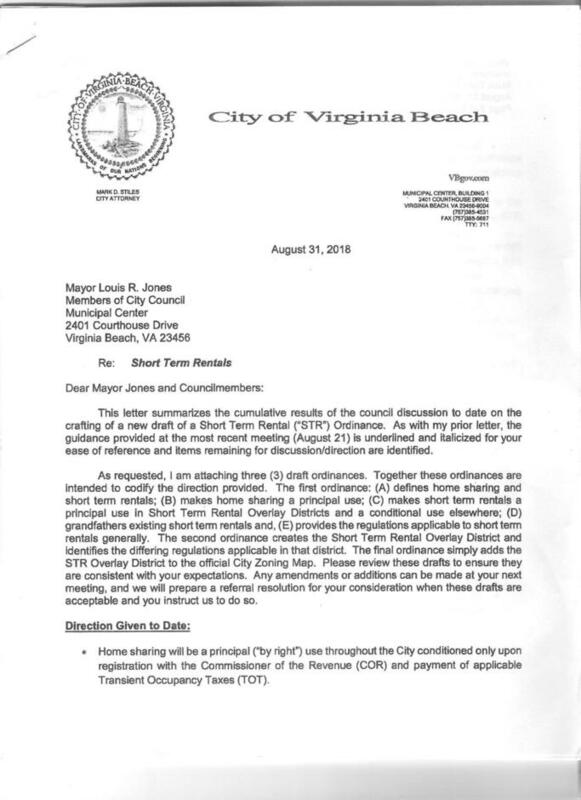 “We have been wrestling with the issue for more than two years because it is an especially complex set of circumstances for Virginia Beach,” said Mayor Louis Jones. In 2017, the Council referred three alternative ordinances regulating short-term rentals to the Planning Commission for review and recommendations. The Commission developed a fourth alternative it presented to the City Council for its consideration on March 6, 2018, and a final vote was scheduled for March 20. City Council deferred action on those alternatives to allow additional input. While the practice of homeowners offering residential units for short-term rentals through online platforms like Airbnb and Homeaway is widespread, there is no provision in the City Code that actually allows it. The City Council is addressing specific elements that focus on regulating the short-term rental industry in Virginia Beach. It is an especially complex issue that requires addressing everything from personal property rights, individuals' rights to private enjoyment of their properties and safety concerns to taxation, City Code and City Zoning Ordinance enforcement and permitting. Earlier this year, the General Assembly passed a bill that prevents the City from requiring special-use permits for rentals in Sandbridge, which left the question open for what to do in the rest of the city. Council is working toward having a draft ordinance later this summer. Donna Watson, co-chair of Protect Virginia Beach Neighborhoods, was recognized for her volunteer efforts by the Virginia Beach Council of Civic Organizations at its May membership meeting. Donna has worked tirelessly for three years by working with the city government to regulate the short-term rentals in our residential communities. Deputy Police Chief William Deal presents Donna with her certificate of recognition, while VBCCO president Brad Sike and Police Captain Mike Ronan look on. VIRGINIA BEACH — With Mayor Louis Jones now sworn in, and mayoral and City Council elections approaching in November, we invite you to observe the many interconnections between the leaders of this city and its real estate development, hotel and financial industries. Unless otherwise noted, these associations are based on the respective economic interest declarations required by the Virginia Conflict of Interests and Ethics Advisory Council. Each officials’ financial declaration can be accessed by clicking their names. No known declarations of financial ties to real estate or tourism industries. Owner of Wood Family Partnerships, a real estate company. Owner of Ocean Bay Contracting, a building company. Owner of commercial and residential rental properties in Virginia Beach. City Council liaison to the Town Center project. Son of Dorothy Wood, who is the chairwoman of the Virginia Beach Development Authority. The VBDA is a quasi-government entity that is completely funded by the taxpayers of the city and whose board of directors is appointed by City Council. Manages family’s State Farm insurance business. A partner and real estate broker at Davenport Management Company, representing building companies such as Napolitano Homes, McQ Builders and Developers and Towne Development, according to Davenport’s website. Owner of Davenport Land Company and Viridian Reserve Investors LP. Wife owns Regional Property Solutions, a real estate company in Virginia Beach. Sat on the Monarch Bank Hampton Roads Leadership Board of Directors from 2010-2014, according to Davenport’s website. A partner in Henley Farms in Virginia Beach. Owns residential rental properties in Virginia Beach. Participant in Agricultural Reserve Program, which pays farmers in southern Virginia Beach not to sell their land to developers. Henley helped create the program in 1995. Husband, Patrick Kane, works for Portfolio Recovery Associates Group, a debt-collection company based in Norfolk. Director of Operations at Burlage Management, which oversees the operation of multiple hotels at the Virginia Beach Oceanfront. Also director of operations for Seashore Management. Represents the Oceanfront district where he operates hotels and is the City Council liaison to the resort advisory commission. In September and October 2015, Commonwealth’s Attorney Colin Stolle investigated Uhrin for conflicts of interest after he voted in favor of giving $18 million in taxpayer money to the restoration of the Cavalier hotel while his wife, Catherine Sassone Uhrin of East Beach Realty, was working on the project. Uhrin was never charged with a crime because of lack of evidence, Stolle said. A Realtor with Berkshire Hathaway Towne Realty. City Council liaison to Virginia Beach Development Authority. Map of locations of Short term rental houses identified so far by the "tax" office. These are the houses that are registered and pay the transient occupancy taxes to VB. Where are the short-term rentals in Virginia Beach? Check out the maps. Want to see what the city is proposing concerning Short-term rentals in residential areas? Our group, Protect Virginia Beach Neighborhoods, has been asking city officials to oversee all short-term rentals in the residential neighborhoods. The city zoning code establishes residential housing districts, but it’s silent on the issue of short-term rentals (those of fewer than 30 days) of single-family dwellings. While this might have been acceptable at one time, the increasing number of such rentals means that city officials must act to protect residents from the rentals’ negative effects and protect tenants from single-family dwellings that might be over capacity, under-insured and not properly inspected. Other cities throughout the country and in Virginia are facing the same issues and have passed related ordinances. Members of PVBN, who are residents and landowners in the city’s residential neighborhoods, have asked city officials to establish a registry of short-term rentals in residential neighborhoods, require that each rental must provide city officials with a name and contact number of a local person who must respond to any complaints arising from that rental, provide a central phone number where residents can call to report problems with short-term rentals. City staff members would then relay any complaints to the designated local contact person for the rental. This would ensure that responsibility for any problems at the rentals would rest with the property owners or their local representatives. Also, this central phone number would allow the city to collect useful data on short-term rentals. PVBN members want to preserve real estate values and protect our neighborhoods for residents and renters alike. However, we disagree vehemently with people who think the way to do so is by maintaining the status quo. It’s time for Virginia Beach to step up with proper oversight of all short-term rentals throughout the city. Article in the Pilot about possible short term rental regulations. New 311 process. The link below will take you to the city site that explains this process. This is for people who want to get the alerts on a cell phone or by email. Ad Hoc committee recommendations concerning short term rentals in Virginia Beach. Among other things, the committee made recommendations to City Council concerning state vs. local controls over tax collection and regulations of short term rentals. Mayor William D. Sessoms, Jr.